When students see a concept presented in more than one way, the chances of understanding increase. Many teachers have students draw ellipses and circles by attaching a loop of string to two tacks placed in corrugated cardboard. Students use a pencil to draw the ellipse by placing it at one of the tacks and moving clockwise as they stretch the string as far as they can. The figure they get should look like the illustration below. The sketch makes labeling the parts of the ellipses and circles easy. Have students record these parts of the ellipse on their sketches that correspond with the other two diagrams. Coolmath.com has a well-presented lesson on the formula and graphing of an ellipse, which includes circles. The link for the lesson is given below. We also have another awesome lesson called The Nightmare of Conic Sections on our Algebra 2 with Trig blog! 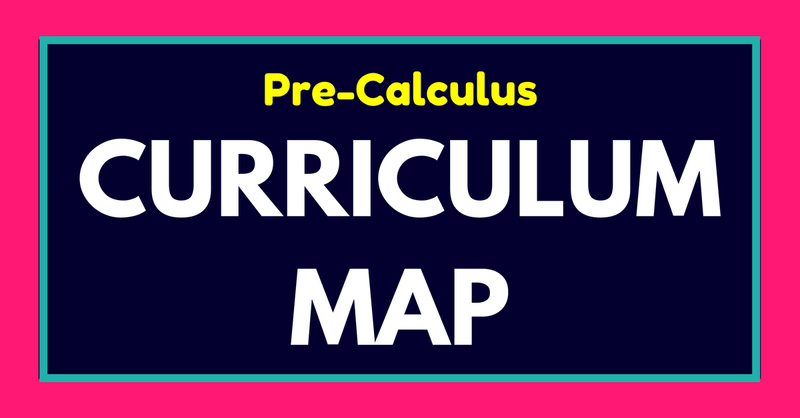 Looking for more great PreCalculus Lessons? Don't Forget to Pin This Lesson on Ellipses and Circles!